Ok this isn’t the prettiest dish but looks can be so deceiving! This grilled chicken dish is moist, tangy, spicy, and simply delicious. I picked up some tomatillos at the market the other day to make a salsa for chips but decided on using it to smother some grilled chicken. I went full blown Mexican this month and loved making all these dishes so hopefully you’ve enjoyed them as well. I grilled the chicken using my George Foreman grill because the weather wasn’t holding up. The grill worked just fine and was able to get nice grill marks on the chicken. I then prepared the sauce in a blender and covered the grilled chicken, added cheese and baked until cheese melted. This was an incredibly easy dish to make and took about 30 minutes. I also made my own tortillas for the first time! I’m never buying store bought corn tortillas again. They came out a little thick but next time I think I’ll invest in a tortilla press for perfect tortillas every time. Preheat oven to 350. Season the chicken with salt and pepper and squeeze lemon over the chicken breasts. Grill the chicken until cooked all the way through. 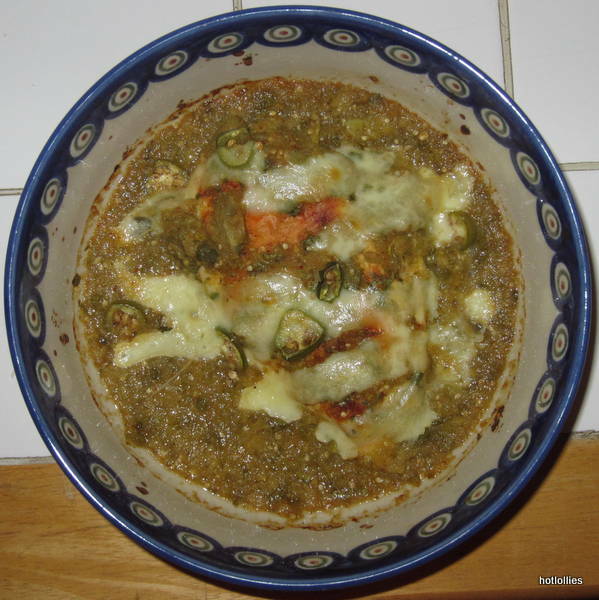 Add the tomatillos, pepper sauce, onion, parseley, cilantro, 1/2 tsp salt, and half the serrano pepper to a blender and puree ingredients. 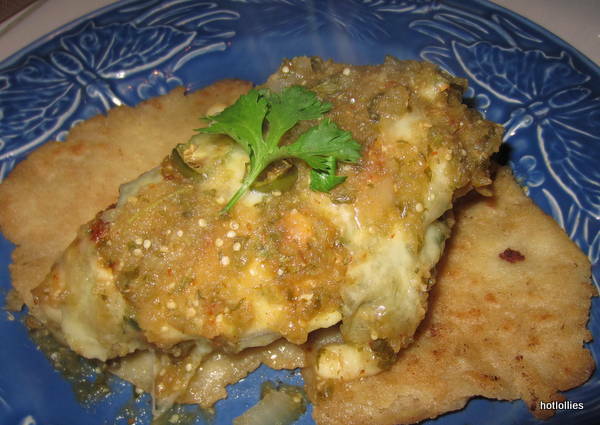 Add the chicken to a baking dish and cover completely with the tomatillo salsa. Add the cheese and remaining serrano chile slices on top and bake chicken for about 10 minutes until the cheese has melted and is bubbling. Remove from oven and top with cilantro. In a bowl add the flour, salt then slowly add the water until a dough is formed. Roll about 2-3 tbsp of dough in hand to shape like a ball then flatten with the palm of your on a floured board. Lay a piece of parchment paper on top and roll until desired thickeness. 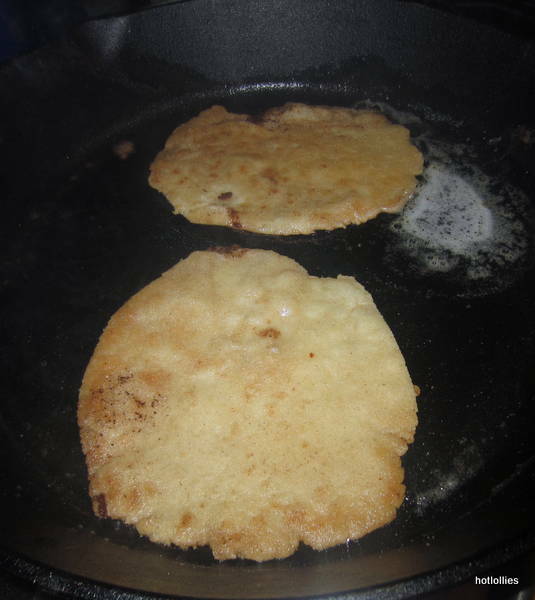 Heat up each tortilla in a heavy pan (cast iron) with a pat of butter until tortillas are a little browned on both sides. note: you can get Maseca corn flour from a Latin grocery store. Maseca is the brand name of a very fine corn flour that’s made with a bit of lime.